First of all Mr. Prokoshev, kindly tell us about the history of Mortrans. In the past there were few companies only involved in shipping and logistics in Russia and all of them were state-owned. What is your situation today, how is the market in Russia in general and are there both state and private players in the market? Firstly, at time of the Soviet Union there were only stated-owned companies in the transportation and logistics market. But after 1991, a new era came with opportunities for private business. Accordingly, Mortrans Ltd. was founded in 1992. 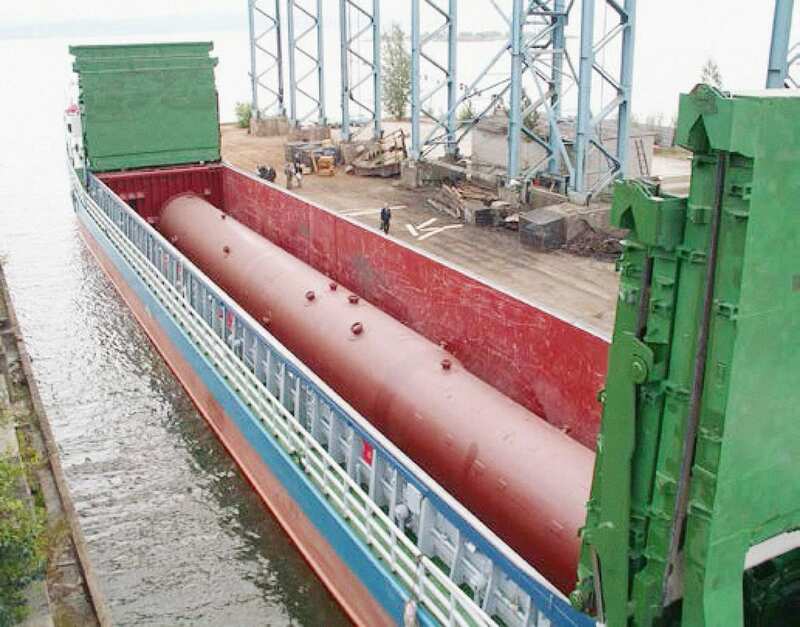 The company was founded by three people who previously served as deep-sea captains for the Baltic Shipping Company (a famous Soviet shipping company). This year we will celebrate twenty-seven years in the market. For the Russian new market that’s a long history and we’ve made it though all local and international crises and difficult times (like 1998, 2008 and 2014). Mortrans Ltd. has twenty-three employees so we are a classified as a mid-sized company, but we’re beginning to see more and more big (including state-owned) logistics companies in the market. These companies have advantages as far as tenders, financial possibilities for customer credit and providing bank financial guarantees are concerned. However, big and, especially, state-owned companies are clumsy and less reliable for customers’ requirements and that’s our opportunity to see customers’ requirements through and react quickly. Moreover, often, big companies win projects and use us as a subcontractor. Thus, we get involved anyway. Russia is a huge country and, although the Internet has been invented, tell us about how you handle cargoes into and out of Russia. Is it via the Black Sea or the Russian Far East? Is that possible for you? Yes, that’s possible for us; we work all over Russia. We have our head office in St. Petersburg and a branch office in Moscow. Also, we have representatives in Murmansk, Rostov, Novorossiysk ports and agents at the Far East’s port (Vladivostok). Our main activities are in the European (Western) part of Russia. Importantly, that includes St Petersburg’s port (including Ust-Luga and Bronka terminals), where we are. St. Petersburg is the main logistics gateway into Russia (and thanks to newly built terminals, the port is not congested and is well equipped). Novorossiysk’s port is the only Russian deep-sea port on the Black Sea coast and Novorossiysk is more congested, but we work for our customers’ requirements there as well as in Murmansk port (the main port of entry for Arctic projects). In the Far East we use the assistance of our agents and the main difficulty is the seven-hour time difference. We need to make decisions in the morning in St. Petersburg to avoid loss of time due to businesses in the Far East closing. This is manageable, though, and if the customer needs our service in the Far East, we can do that without any problems, because despite the huge size of the country, we use the same language and the same way of thinking all over Russia. Customs authorities in Russia are infamous for being inflexible and very strict. 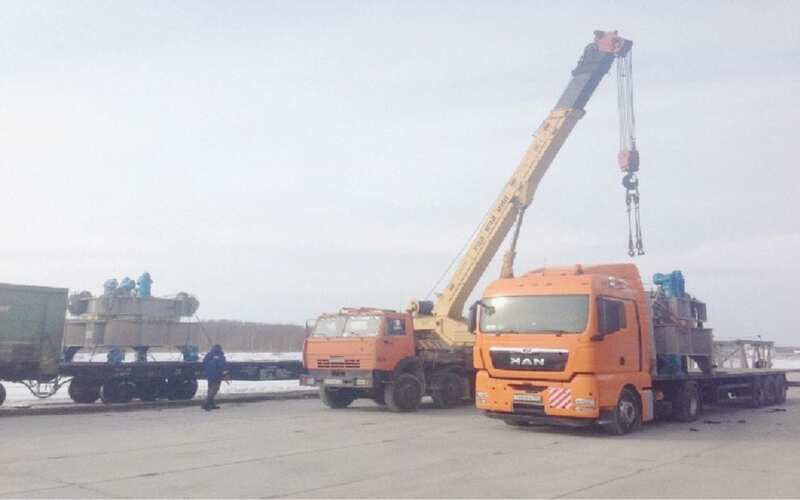 Can you update us on the current situation regarding cargo flow in and out of Russia? Could you also tell us how Mortrans can help overseas customers? Can you give us your best recommendations for dealing with customs documents etc. in Russia? Thank you, that’s a very good question! Yes, the customs authorities are inflexible and have a formal, very bureaucratic attitude to cargo owners (or forwarders as cargo-owners’ agents). That’s why they appear so strict. Customs has strict requirements regarding the documents that should be submitted for clearance. What’s most important is proper and suitable paperwork, which is the key to success and smoothly obtaining customs clearance. If you prepare docs in advance (before the arrival of the cargo) and the docs follow all the customs authorities’ requirements, there should be no problems. But, if the cargo arrives at customs and the docs are not duly prepared, there will be headaches and extra expenses will result. We try to explain that to our customers every time and if the customer follows our instructions, customs formalities are not so terrible. Thus, our main suggestion is that if you are going to send the cargo to (or from) Russia, please find a good agent/partner in Russia and start all preparations (including paperwork) well in advance. 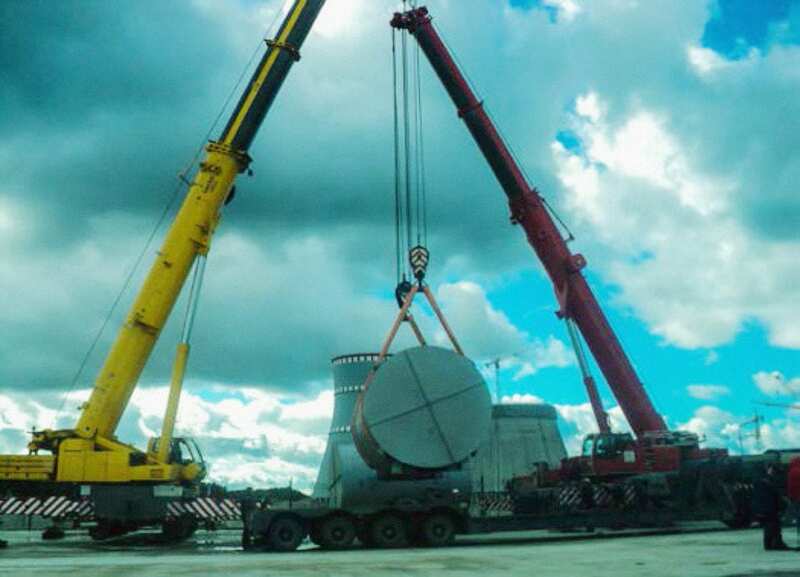 Could you provide us with some examples of cargoes that Mortrans has handled recently? Business can be divided as imports, exports and local/domestic transportation. If we speak about exports, they’re mostly to markets like India, Latin America and the Middle East. 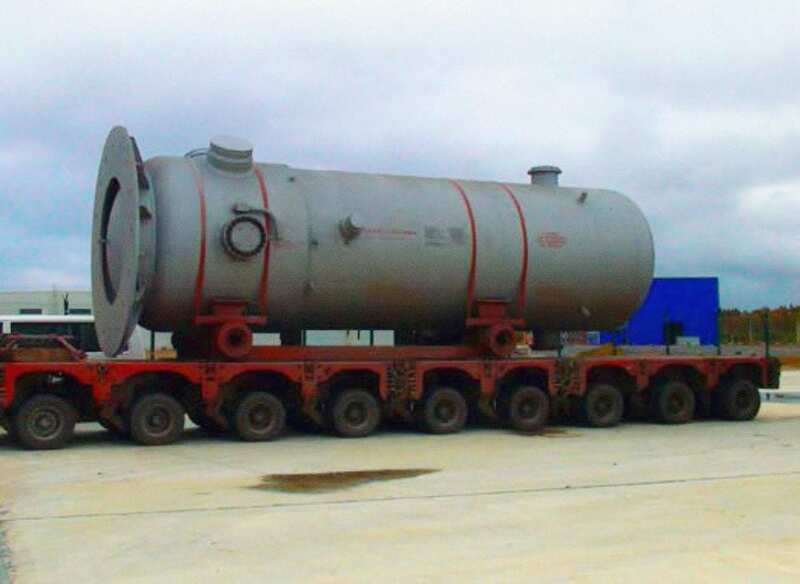 Our latest shipment is the dispatch of energy equipment. 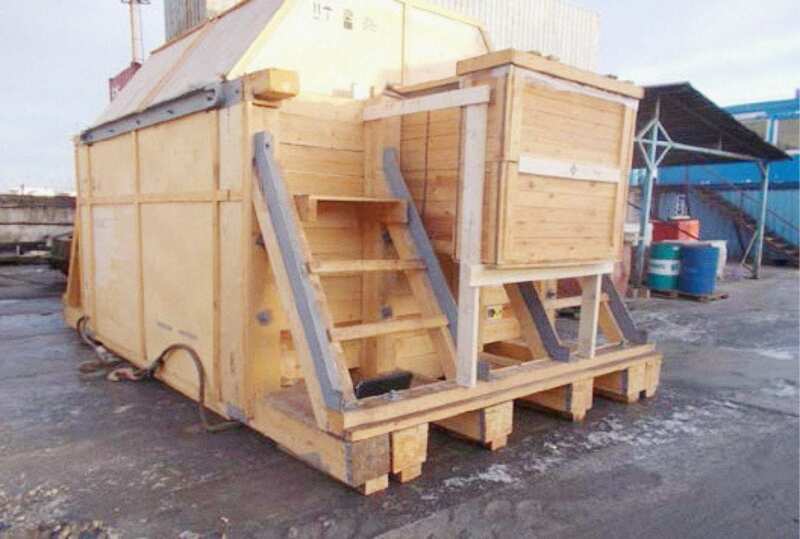 As per the customer’s requirements, we packed the cargo, lashed on a FR container and sent it to our customer in India (photos below). As far as imports, they’re mostly the importing of equipment for different building and/or renovation projects in Russia. 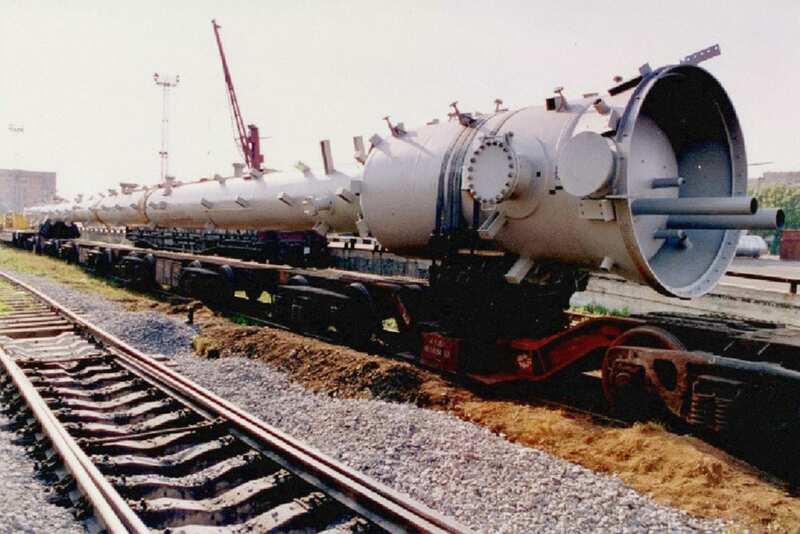 One of our recent projects was the import of equipment and spare parts for building of a subway in Moscow. 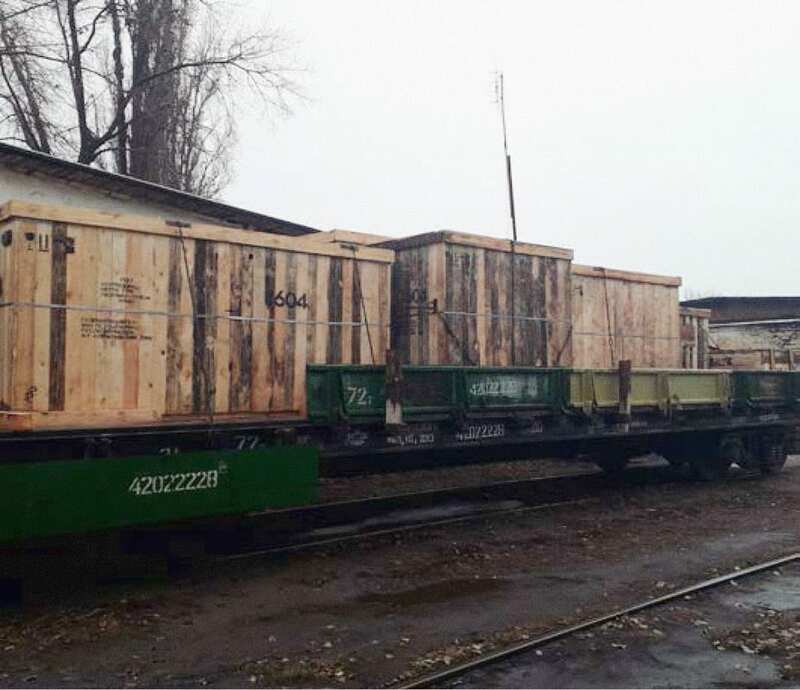 The cargo arrived to the Moscow region from China by railway. 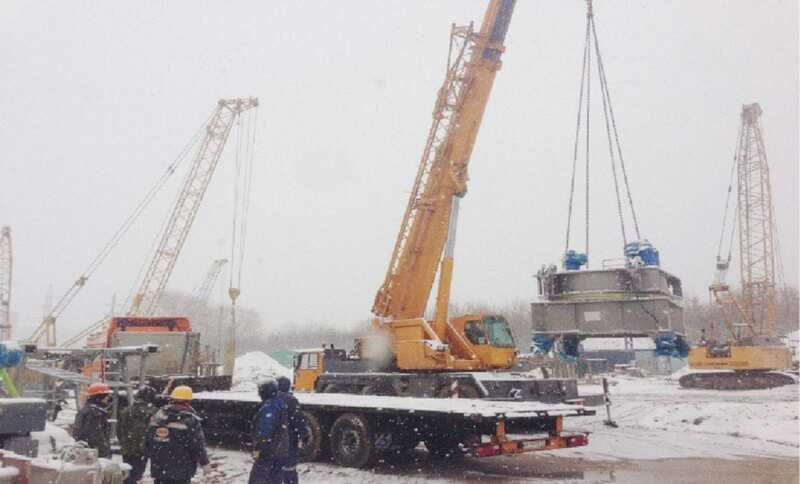 We arranged receipt of the cargo, handling it from the railway, through import customs clearance (with special attention paid to paperwork beforehand, as previously mentioned) and delivered it to the construction site within the Moscow city limits. That was big project, about half a year of transportation and about half a year of preparation. In total, it was about eighty truck voyages (see the below photos). 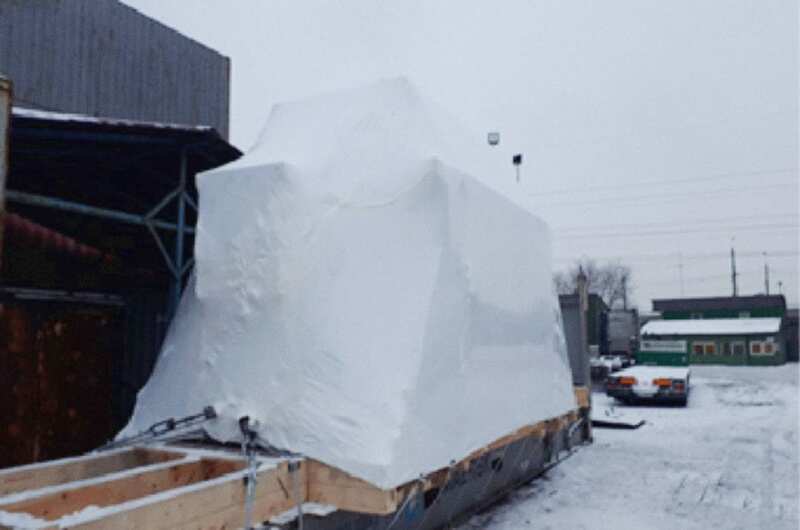 We handle a lot of domestic (non import/export) shipments. 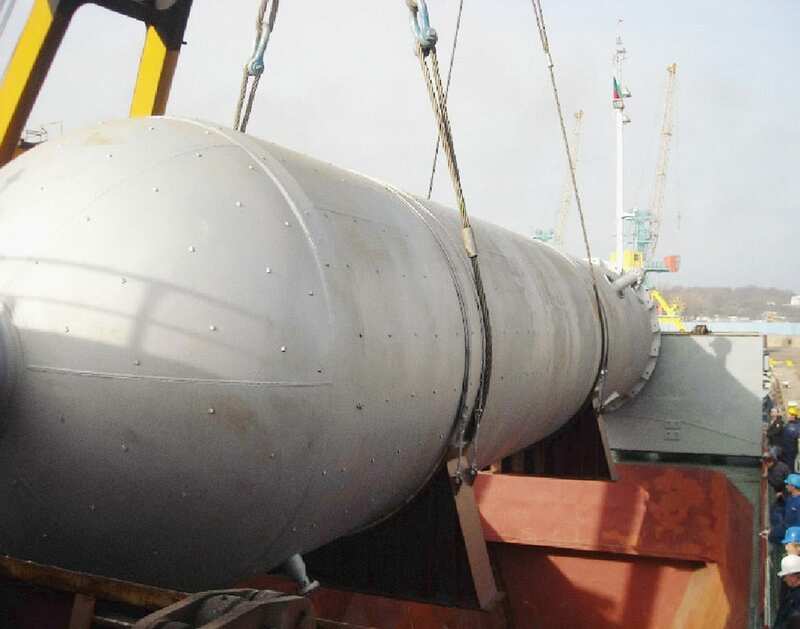 Mostly these are the delivery and handling of Russian manufacturers’ equipment for Russian projects. That includes project cargo and general cargoes as well. 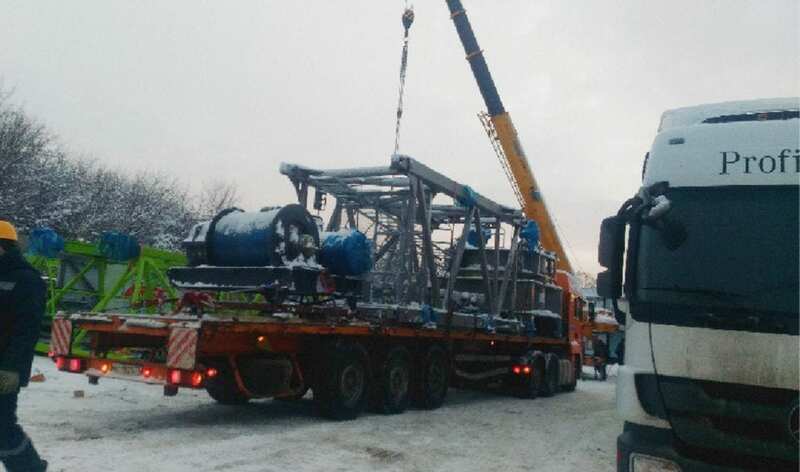 Below are some photos of project cargo handlings and transportations (for the newly built power station in Russia) – you can see the photos below. And, of course, the arrangement of transhipment operations in ports. 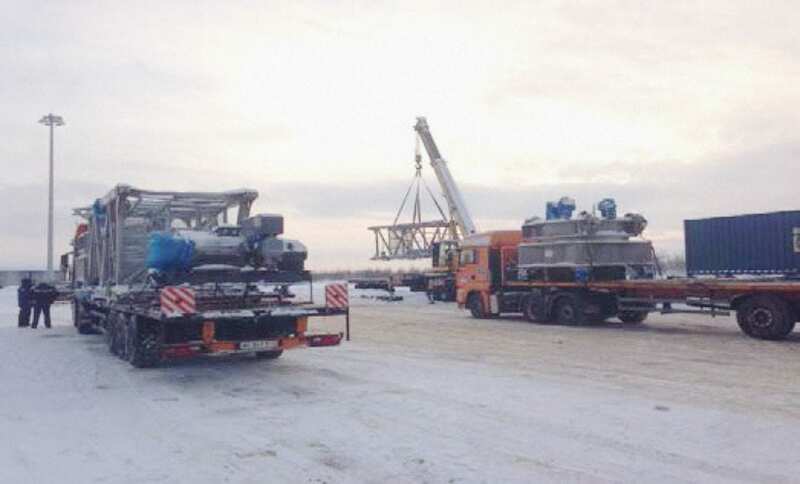 Below is a photo of our handling of equipment in the Bronka port (a newly built terminal in St. Petersburg). Also we have a lot of air shipments, mostly from Moscow airports (SVO and DME) and that’s one of the Moscow branch office’s activities. Railway transportation in Russia is vital for the country’s economy. Can you offer railway solutions? We see many players in the market claiming to be able to handle railway transportation to/from and via Russia but there is also a lot of hype and many companies that don’t actually have their own relationship, instead using someone else. Can you give our readers your advice on how to deal with railway transportation in Russia and whom to ask? 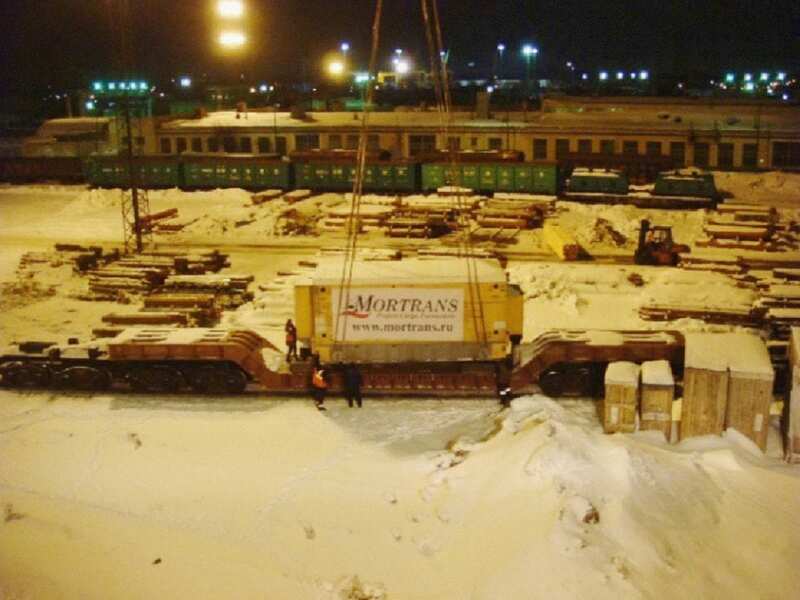 General cargoes for long delivery (say, for thousands of km, for destinations like Siberia, for example) or for delivery to/from neighboring countries. Typical samples (just from our recent experience) are below. Bulky cargoes (like coal) like this, speaking frankly, is not our niche. 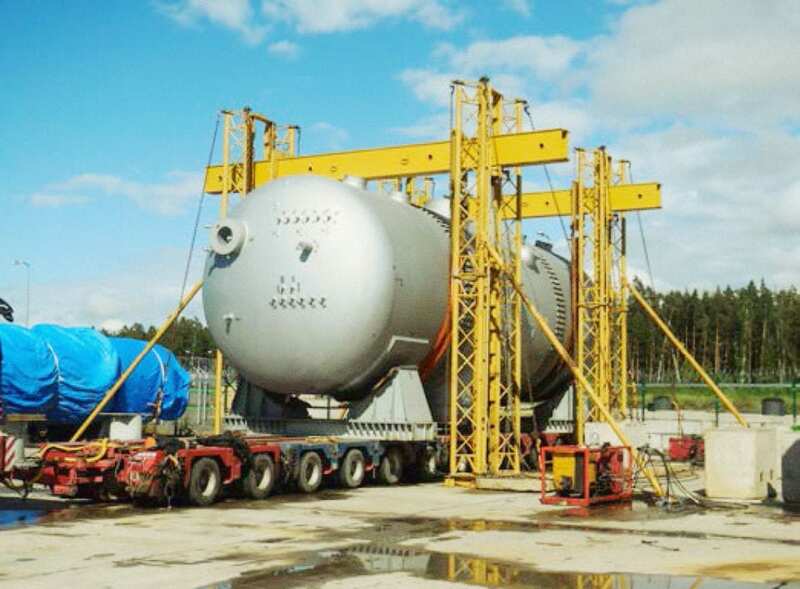 For delivery of heavy cargoes (like transformers). We have performed those types of transportation. 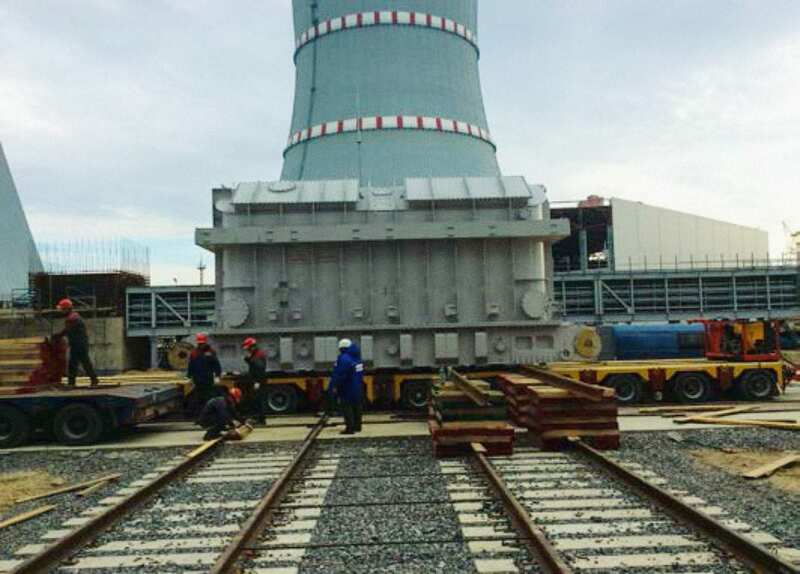 Also, handling of the transformer onto a transporter. 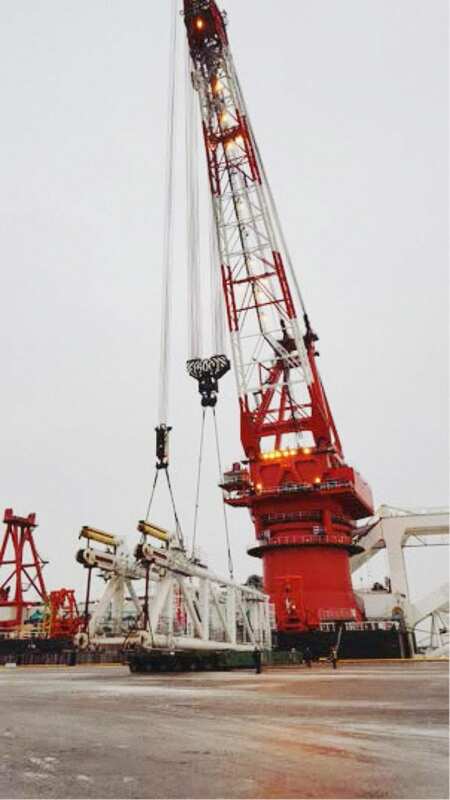 In the last couple of years it’s become more and more popular to use railway for delivery of cargoes from China. A project for the delivery of subway building equipment from China to Moscow (as I mentioned above) was just performed via railway. As for how to deal with railway transportation in Russia, firstly, you need to find a professional partner in Russia with actual experience and knowledge. If you expect this from the beginning of your dealings with your contractor, you will come to understand whether they think and speak professionally or have the knowledge. 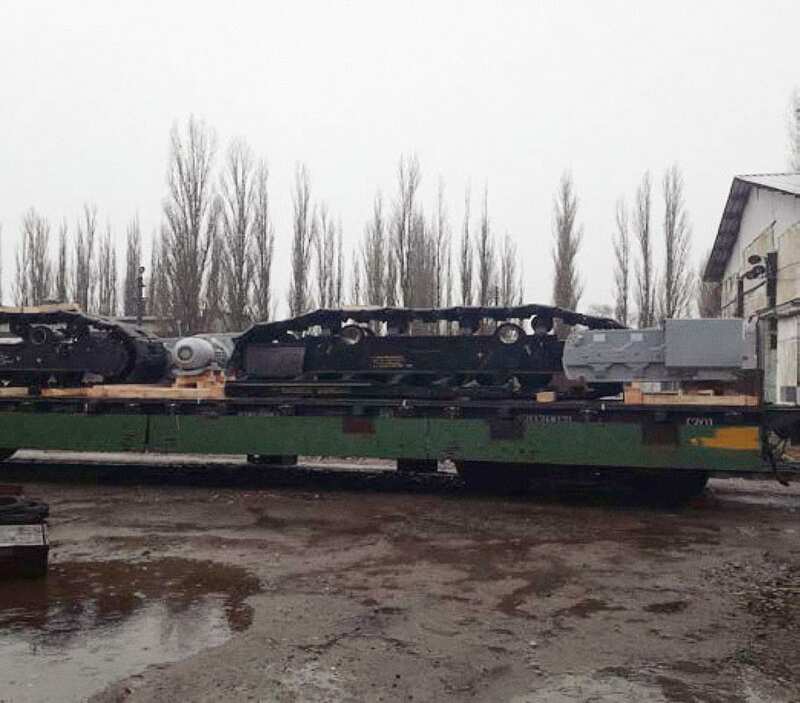 But if you’ve read this interview, you’ll be happier because you’ll have found us, your professional partner for railway shipments within Russia and former Soviet Union states. 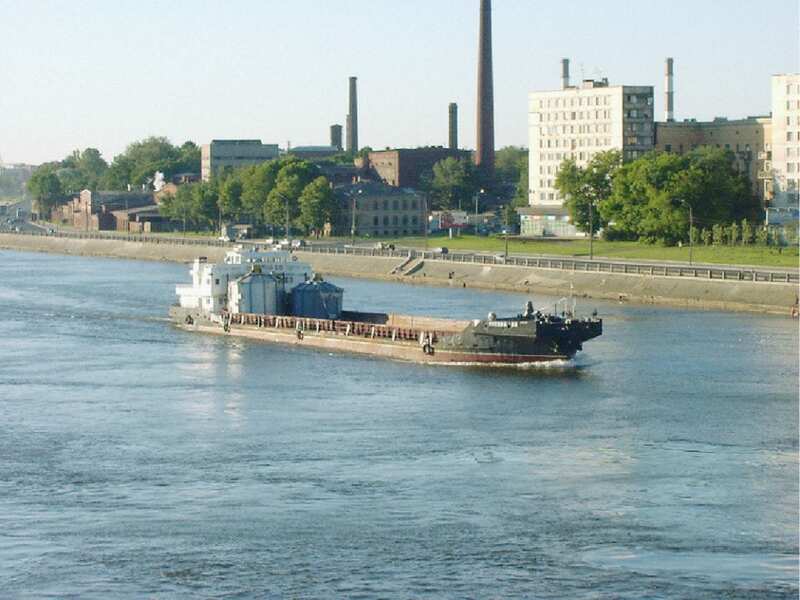 There is also a big river system in Russia for shipping and logistics, I believe, down to the Black Sea and further. Can you tell us more? All rivers in the European part of Russia are connected via the system of channels. 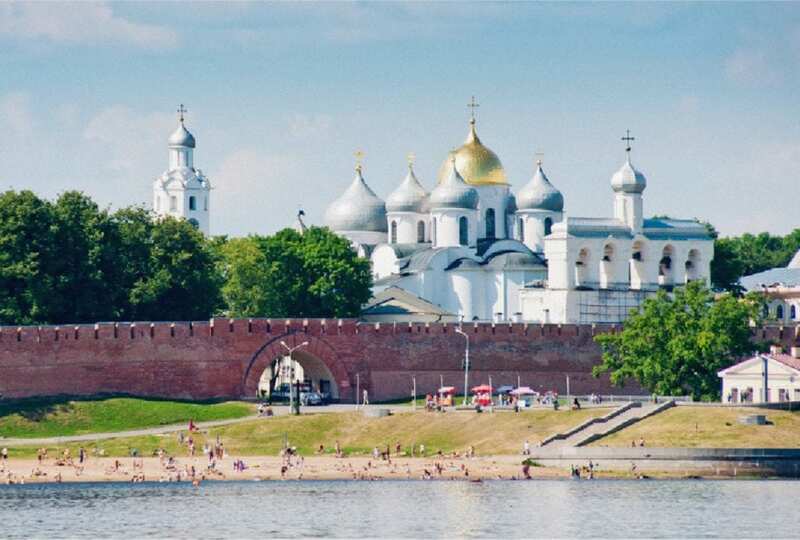 Thus, the Baltic Sea (from St. Petersburg) in the west, the Caspian Sea (from Astrakhan) and Azov/Black Seas (from Rostov on Don) in the south, Kama River (from Perm) close to the Ural Mountains in the east and the White Sea in the north, are all connected. Usually this mode is used for cargo that can’t be transported by land (like project, heavy and out-of-gauge cargoes). Inland waterways are open for the summer period only (from May until mid November in the north and from April until the end of November in the south). During winter the rivers are covered by ice, so there’s no navigation at all. Also, Russia has rivers in Siberia (the Ob, Enisey and Lena rivers). 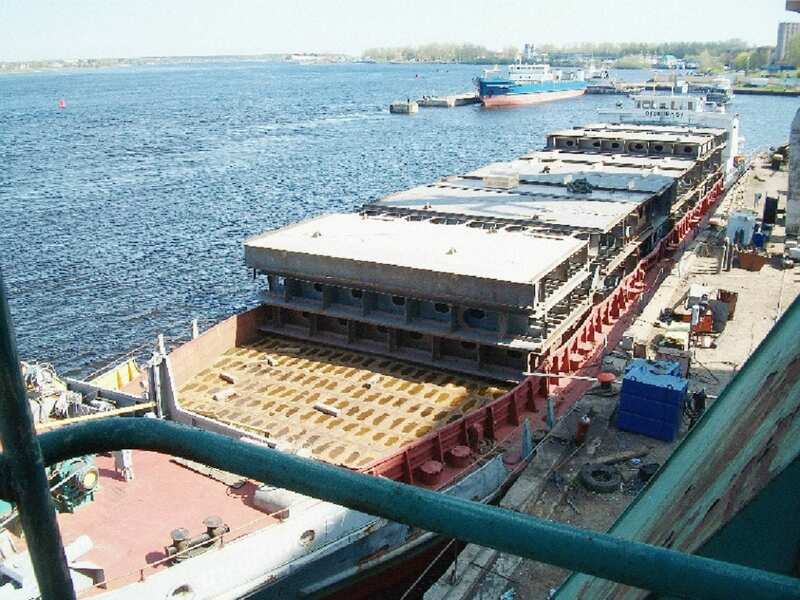 The Siberian rivers are used for the delivery of cargo to industrial projects in Siberia (like Tobolsk or Omsk). The Siberian rivers flow from the south to the Arctic Ocean and are not connected with the system of rivers in the European part of Russia. They can only be reached via the North Sea route (Arctic Ocean) and only during July, August and September, when they’re free from ice. River transportations area usual part of deals in project transport and we’ve performed a lot of river transportations (see the photos below). 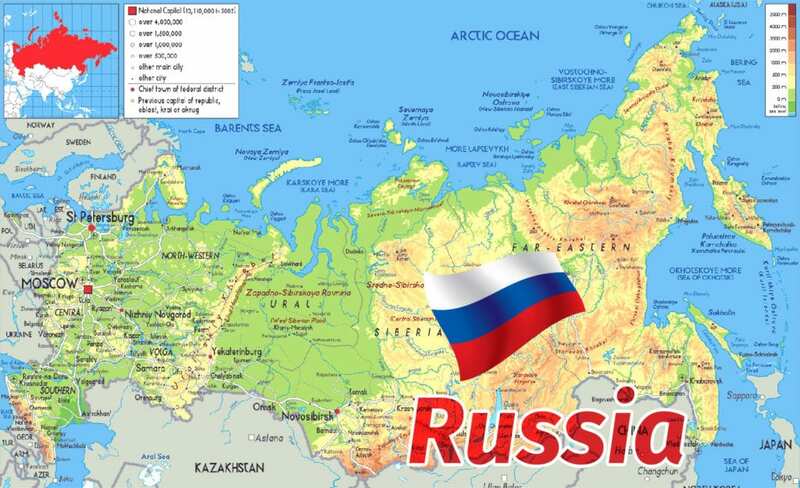 Where are you from in Russia yourself? For how many years have you worked for Mortrans? How did you end up in Mortrans? I was born in Murmansk and came to St. Petersburg at seventeen years old to study in the Maritime Academy (Faculty of International Transport Management). Thus, my activity fully follows my education. I joined Mortrans Ltd. in my final year of education in 2000 and thus, this year I will celebrate nineteen years in the company. That’s why the success of the company is very important to me; I’ve worked here for half of my life, gained a lot experience and always try to do my best for the good and successful future of the company. The most important conditions for the success of the company are pleased and happy customers and that’s why the satisfaction of the customers is most important to me. Russia is also a tourist destination. Could you tell us about some spots (besides St. Petersburg) that are worthwhile to visit in your region? Many people visited Russia during the FIFA World Cup in 2018 and discovered that it’s not as dangerous as they thought. 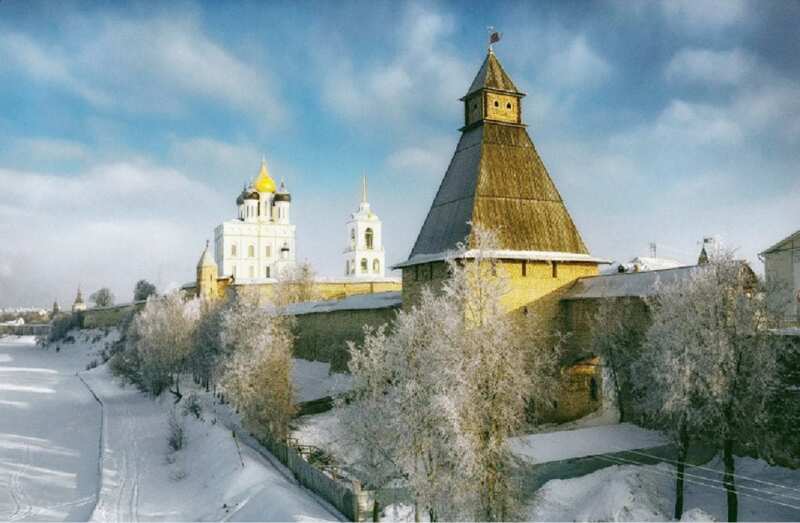 Russia is very big and varied, being absolutely different in the north (where I was born) and in the south (close to Sochi and the Caucasian Mountains). Of course, destinations one and two for visitors are Moscow and St. Petersburg. However, not far from St. Petersburg we have very old and lovely towns like Pskov (just 300 km from St. Petersburg), which was founded in the tenth century and was the site of an old Kremlin and a lot of churches), and Velikiy Novgorod (just 200 km from St. Petersburg), which was founded in the ninth century as one of the first capitals of Old Russia and also has an old Kremlin and the Sofia Cathedral (built 950 years ago). That’s the part of Russia that’s unknown to most foreign visitors. Meanwhile, life in peripheral towns is cheaper than in St. Petersburg and Moscow, so that will be a very pleasant surprise for visitors. By e-mail, phone, mobile or whatsapp.